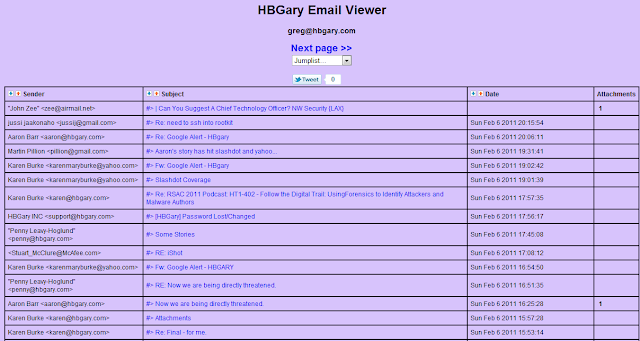 Anonleaks - HBGary Email Viewer Portal ,71,800 Emails Exposed ! 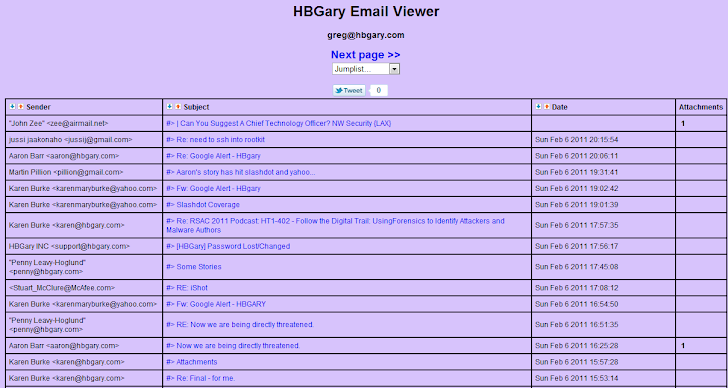 Anonleaks - HBGary Email Viewer Portal,71,800 Emails Exposed ! A full .tar.gz archive of the website can be found here. The entire website is roughly over 9 gigs uncompressed.